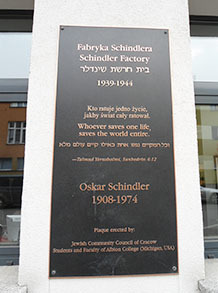 The history of the factory owner, Oskar Schindler and the fate of the Jewish workers he saved are well known. 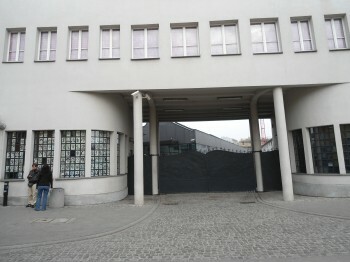 Schindler's museum is a place that takes us back in time depicting the fate of the former factory the everyday life of the inhabitants of Krakow and the fate of the Krakow Jews during the German occupation when Krakow served as the centre of the authority of the General Governorship. In the Museum you can see permanent and temporary exhibitions. The history of World War II in this place is shown again, in a way accessible to everyone. Museum collections are archival documents and photographs, film accounts, audio recordings and interactive stands and soundtracks that work on the imagination. During this tour, depending on the chosen version, in addition to the entrance to the Museum, you can visit related sites in Kazimierz and Podgórze, where you can see part of the destroyed ghetto wall. On request, it is possible to see the area of the former Płaszów concentration camp and the monuments currently commemorating this place. 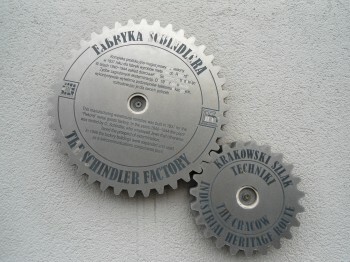 We offer the Oskar Schindler?s Tour in the PRIVATE TOUR option. We created this option to satisfy the most demanding of tourists. Depending on the version, there is an opportunity to visit the museum with a guide or without - this version of the trip includes a tour guide in Polish, English or Spanish. 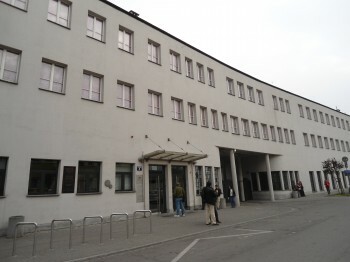 In addition to choosing the start and end times of the trip, a private comfort-class car with a private driver, the undoubted advantage of this version is the opportunity to visit the places associated with O. Schindler with a private guide or in groups with a guide in a previously chosen language. Transport from the desired location is arranged by our vehicles with an audio guide in the language of your choice, as an introduction to the story related to Oskar Schindler. Oprócz możliwości wyboru godziny rozpoczęcia i zakończenia wycieczki, prywatnego komfortowego samochodu najwyższej klasy z kierowcą niewątpliwym atutem tej wersji jest możliwość zwiedzania muzeum O.Schindlerem z prywatnym przewodnikiem lub w grupie z przewodnikiem w wybranym wcześniej języku. Transport z wybranej przez Państwa lokalizacji odbywa się naszymi samochodami z audio przewodnikiem w wybranym języku tytułem wprowadzenia w historię związaną z Oskarem Schindlerem. Po skończonym oprowadzaniu nasz kierowca odwiezie Państwa w wybrane miejsce w Krakowie może to być ciekawa restauracja, w której będą mogli Państwo spędzić miły wieczór lub inne ciekawe miejsce w Krakowie których zdecydowanie nie brakuje. Opcja ta za dopłatą oferuje również dyspozycje kierowcy na dalszą część dnia bądź wieczór - prosimy jedynie o taką informację w treści rezerwacji abyśmy mogli w pełni indywidualnie dopasować ofertę do Państwa zapotrzebowań. The tour is possible every day of the week regardless of the weather, except Mondays (every Monday the museum has a limited number of free entries, sightseeing with a guide on this day is not possible). If you have more luggage with you, you can leave it in our luggage storage in the office or take it with you in the car where it will also be safe. At the client's request, the company can rent for the duration of the visit a sachet for handy things. The maximum size of the bag/backpack that you can bring to the mine is 30cm / 20cm / 10cm. If you have larger luggage with you, you can safely leave it in the car or use the storage room. In the PRIVATE TOUR version, it is possible to book a private guide in a given language for an additional fee. The guided tour usually takes about 5 hours and includes the museum and the surrounding area. We tailor the tour individually after consulting with you.